This video is designed to educate potential and existing customers about the advanced features of WinSPC and to introduce you to new ways of working with your SPC data. 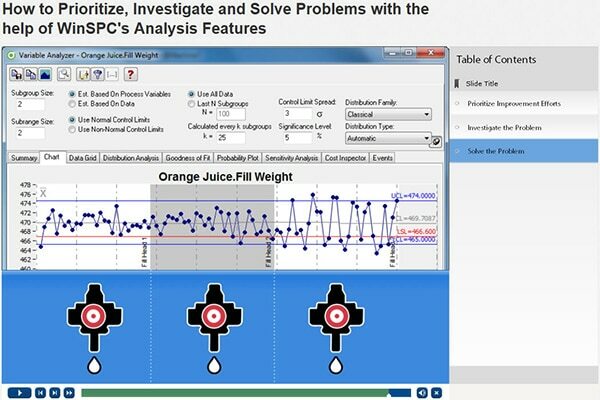 In this interactive video, you’ll identify a problematic process. Then you’ll uncover a major cause of its underperformance and quantify what you can save if you eliminate that cause. Finally, you’ll fix the problem, thereby boosting the process’ capability and gain a financial savings. For a deeper dive into the functionality depicted in the video please visit winspc.com.